Tam Dao by Diptyque is a crowd-pleasing woodsy number. 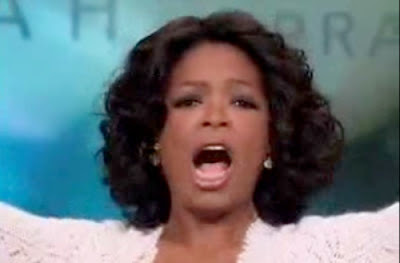 There's nothing tricksy going on, just a long, strong Oprah-yell of wood. Log-lovers: where do you turn for wood satisfaction? Let's fill the comments chipper with your fave woody fragrances. I only have eyes, er, um, a nose, for Chanel Sycomore. Yay for the mention of Sycomore! Spray it on and feel like the destroyer of worlds! I switch between that and Portrait of a Lady, for when I'm feeling more of a creator of worlds. Maybe you, Blauriche, should try that too, if you haven't done so. As for Tam Dao, I'm gonna have to get my nose to that, and also explore the comme de garcons woods, including the one mentioned in the previous posts. But I can't help but feel that perfume should be a more compositional matter than just picking an area of the smell landscape and only working within that, but if it smells good, who cares. Well done for getting through the review without any innuendo, Ms Puckrik! Tam Dao is my "textbook wood", I don't think I own anything else which is essentially wood. Other favorites in the "woody" department (even though they are not as obvious as Tam Dao, but have a noticeable woody vibe) are: CDG Palisander, LAP Bois Farine, VC&A Bois d'Iris, Byredo Gypsy Water and DK Chaos (vintage, I really don't know about the reformed version). Nice list, Sabrina. I gravitated towards Bois d'Iris myself when that VC&A line came out. There are so many great sandalwood and cedar type scents that I could list, but the woody scent that first came to mind is Serge Lutens smoky, sweet, mostly oak wood scented Chene. I agree with Gavin, a single-note scent can be good, but I generally prefer scents with a little more interesting complexity. Don't forget CDG Wonderwood, the superhero of woody fragrances! In a dramatic plot twist, Wonderwood may well be revealed to be the bad guy when the new woody superhero flies into town: the upcoming woodsy release from Parfumerie Generale, Polywood (working title). From what I remember from smelling it at Pierre Guillaume's talk at Les Senteurs in London a few months ago, it's reminiscent of the rich woods of Amouage Jubilation XXV. Féminité du Bois and its spawn, especially Bois de Violette. All the wood au féminin I, ahem, need. By the way, Tam Dao is going to be offered next fall in eau de parfum concentration by Diptyque, like Do Son and Philosykos. Féminité du Bois is the perfume one of my lady-who-loves-ladies friends says smells "c**ty". Puts the "woo!" in "wood". EDP Tam Dao, eh? Seems booming enough as it is. Oh I do like Tam Dao. But I love the SL Bois family. For some reason, most of the recent wood fragrances that I've tried have irritated me. They seem to frequently have a wood spike up the nose effect that I can't tolerate. I'll stick with the niche classics, if there is such a thing. I'm familiar with the wood spike of which you speak, Melissa. Katie, I would like to recommend Arpège into your 'To Review' queue. My vintage parfum has a wonderful sandalwood-y drydown that is to die-for,and LT says that the current formulation is suitable for guys, so I'd love to know what you think of the current EDP/EDT. 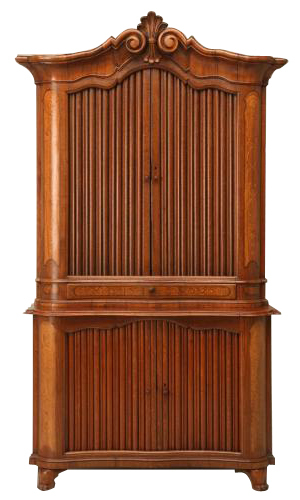 Current Tam Dao was a real letdown for me - it's like a plywood workbench compared to the 19th century mahogany dining table that is Arpège. Out with the IKEA, in with the heirlooms. Katie, How do you think it compares with Passage d'Enfer? I find these two quite similar with a slightly sweeter note in P dE. It's been a while since I smelled Pd'E (I used to wear it), but as I recall, Pd'E is more "cold", less friendly than Tam Dao. I remember thinking when I wore Pd'E that it smelled like pencil lead, for some reason. I'd have to smell them side by side to see if I get a connection. About the ladyfriend who likes ladies, how does she rate the c**tyness of L'Artisan Parfumeur Al Oudh?